We’ll provide you a 10% discount code which you can share among the members of your club (but not openly on social media). Interested in this great deal? 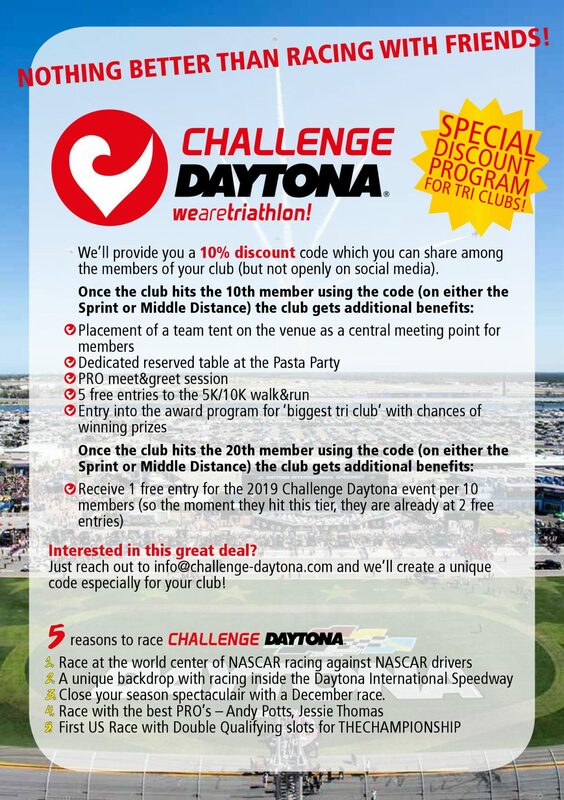 Just reach out to info@challenge-daytona.com and we’ll create a unique code especially for your club!